Do 25 Years seem like a long time? Because, to us, it just flew by! 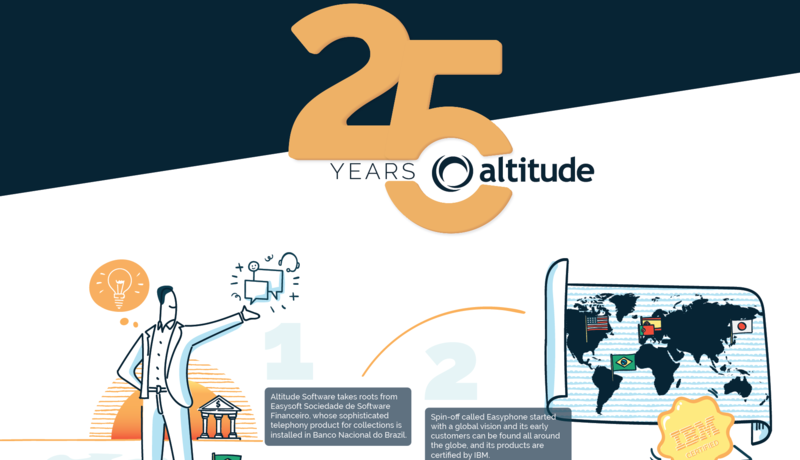 That’s right: this year, Altitude celebrates 25 years of Innovation, Excellence, Teamwork, Commitment and Passion. and innovations, check this Infographic and you'll be all up to date. Is Your Contact Center GDPR Ready? We believe that it is. However, and beyond compliance, GDPR is a business opportunity to transform customer experience. Take a look at our Infographic and download our White Paper, Creating Value in your Contact Center with GDPR, to assess your Contact Center GDPR readiness and learn how GDPR can drive better customer experiences. How do you keep up with the constant changes in the market, services offerings and business models? In current times you cannot risk a less wise business decision, especially in what respects technology and business providers. Take a look at the Hype Cycle for Business Process Services and Outsourcing, 2017 to see Gartner´s forecast for the BPO Industry and make sure that you to match your investment with operational and business goals. Here's our Calendar for the next few weeks! If attending or interested in any of these events and would like to chat with anyone from our team don't hesitate to drop us a line and we'll be happy to schedule some time. See you there! Altitude sponsored Customer Contact Week, the world’s largest customer contact event that took place June 18-22 at The Mirage in Las Vegas. For those that aren’t aware CCW started in 1999 as Call Center Week, the world’s largest customer contact event series. With the balance of conference and expo, CCW is the place where customer care, CX, and contact center leaders come together. In 2018 it was renamed to Customer Contact Week and had more than 2,500 attendees from 900+ companies and 175+ speakers. Our team met with people from across the globe, shared all sorts of CX experiences and Altitude solutions’ news. We have reinforced our strategic interest and awareness in North America and look forward to adding value to our customers and partners in the region. An event we definitely recommend to attend. Kuwait International Bank (KIB) is at the forefront of the digital transformation of the nation’s financial services sector through the inauguration of the region’s first-of-its-kind multichannel contact center, completely revolutionizing customer experience and improving service levels. Operating around the clock, the Altitude-powered contact center includes an interactive voice response (IVR) portal and offers centralized monitoring, queuing, routing and reporting solutions. In addition, KIB successfully launched an innovative visual IVR service from Altitude, providing customers with access to most services via a visual interface, instead of the voice-activated self-service interface. The Landing Festival gathered 1500 talented young people in Lisbon for 2 days. 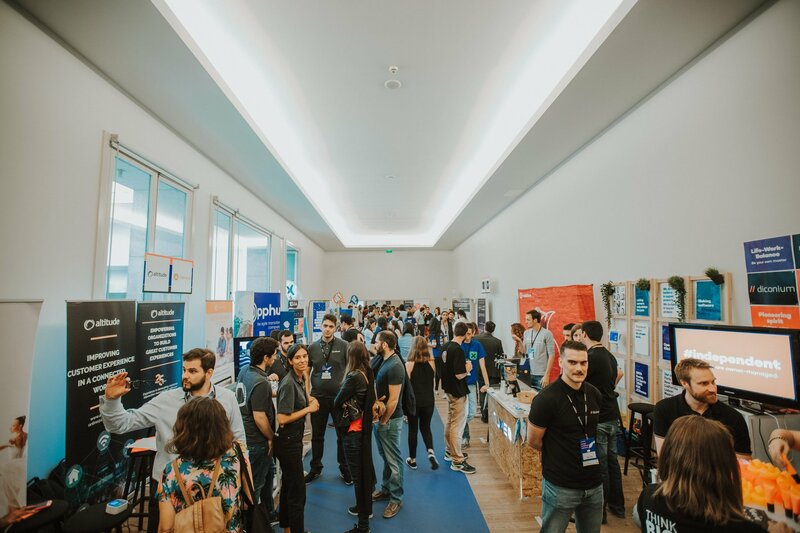 They had the opportunity to establish contact with some great technology companies and to listen to professionals speaking about several topics related mostly with the future of technology and this market’s main challenges. Check the details on our blog. We were looking for dynamic, creative and dedicated Super Techs and managed to meet a lot of people that are the perfect fit to what Altitude is looking for to join our team. Altitude is celebrating ten years of cooperation with the Discatel Project from AEERC (Customer Service Professionals Association of Spain). Since 2008 this project has helped to integrate more than 1150 people with disabilities in Contact Center jobs. Altitude provides services and solutions, pro bono, aimed at integrating disabled workers on the workforce. Check the details in our blogpost (written in spanish).